Nepenthes ceciliae is a wonderful addition to the diversity of this genus. 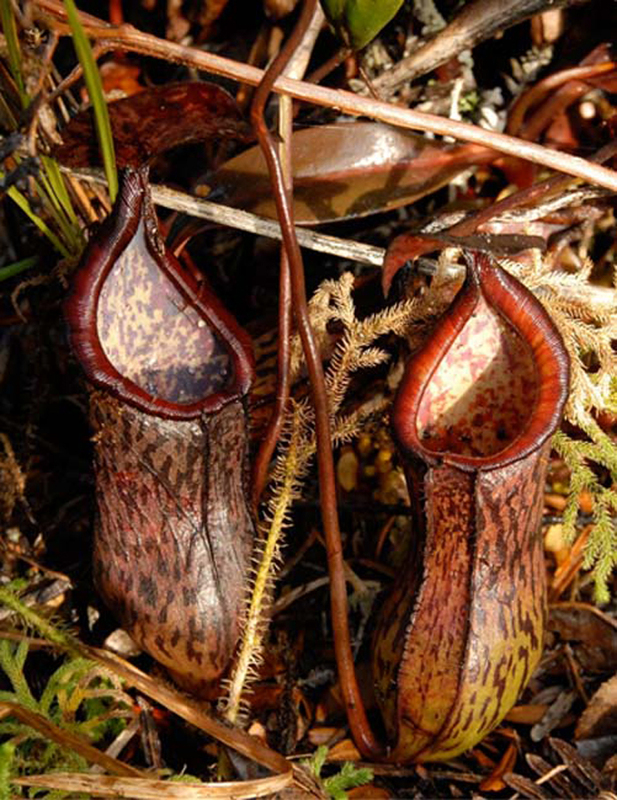 The leaves have a wonderful red hue to them, and the lower pitchers are usually heavily speckled with dark red on a burnished background. 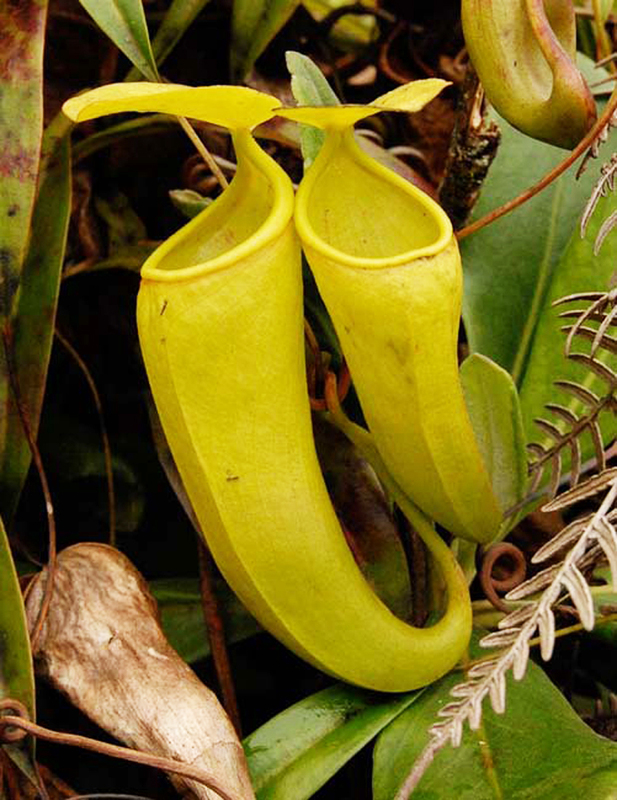 But the upper pitchers are almost solid glowing YELLOW. VERY unique! We obtained one of these plants last year to trial, and it has grown exceptionally well in intermediate conditions. Not commonly available, and we only have a few to sell...get one quick! Medium plants 3 to 6 or more inches in diameter, potted in 6-inch hanging baskets and ready to grow.